Esplanade is a beautiful boutique condo building located on A1A in Boca Raton, FL. This intimate condominium consists of just 37 private units within a single a five-story building that sits just steps from the beach. Condos for sale in the Esplanade offer two bedrooms and two baths with 1,300 to 1,650 square feet of living space. Originally built in 1979, many Esplanade condos have been remodeled and updated to include many high-end modern features. These spacious condos feature upgraded tile or wood flooring, remodeled kitchens with custom cabinets and granite countertops, spacious open layouts, walk-in closets, in-unit washers and dryers, luxurious bathrooms, and private balconies with views of the tropical scenery. Located South of Camino Real on the West side of A1A, Esplanade is just steps away from the beach and within walking distance to South Inlet Park and Deerfield Beach. Esplanade is also just minutes away from popular Boca destinations including downtown Boca Raton, Gumbo Limbo Nature Center, and the prestigious Boca Raton Resort & Club. Esplanade is also close to Mizner Park, which features an upscale movie theater, a variety of chic boutiques and specialty shops, several impeccable dining options, and an amphitheater that hosts world-class entertainment year round. If Esplanade sounds like a place that you would love to call home, you may also want to visit the nearby Mayfair condominium, which also offers intimate condo living just steps away from the beach in Boca Raton. 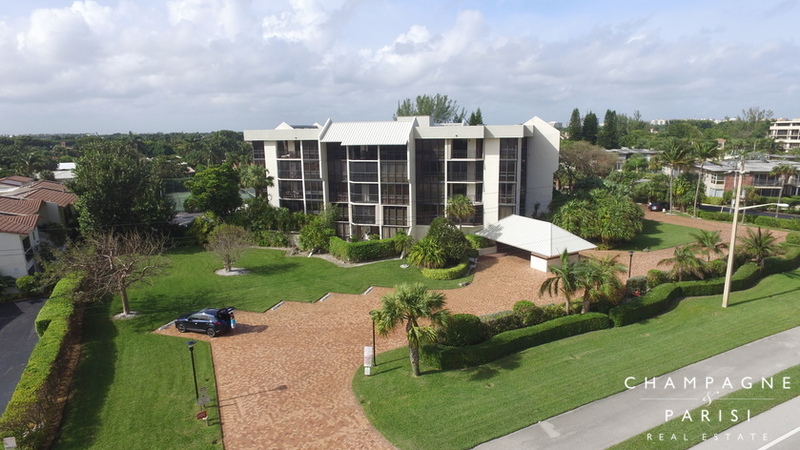 If you are interested in purchasing an Esplanade condo for sale or would like to learn more about other condominiums for sale in Boca Raton, please call us at 561-998-9015. You may also reach us by completing the online contact form provided below and one of our expert agents will reach out to assist you. We at Champagne & Parisi Real Estate would be delighted to assist you in finding your next dream condo in Boca Raton, FL!